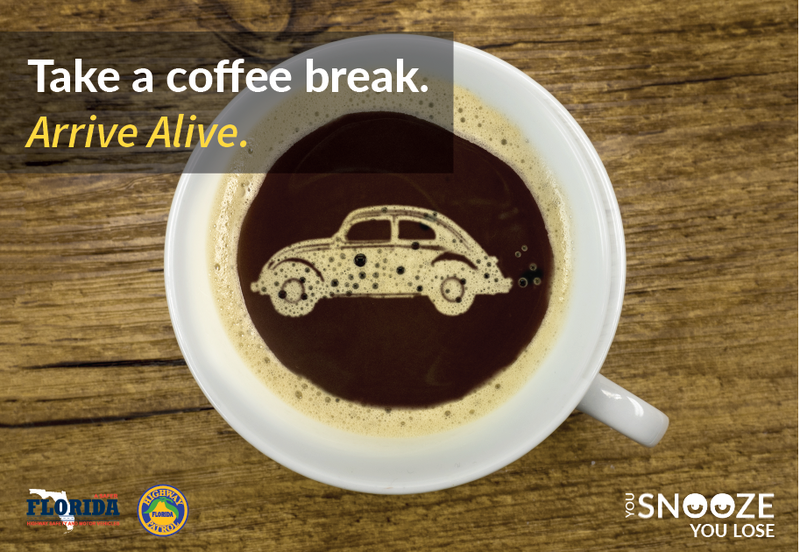 Getting behind the wheel of a vehicle while fatigued and drowsy can have dangerous, and sometimes deadly, consequences. The Florida Legislature designated the first week of September each year as Drowsy Driving Prevention Week to educate the public on the dangers of driving while drowsy and to honor the memory of 8-year-old Ronshay Dugans. Ronshay was killed in 2008 when her school bus was hit by a driver who fell asleep at the wheel. Cause micro-sleeping (“nodding off”) or falling completely asleep. The two main causes of drowsy driving are lack of quality/quantity of sleep and driving at times of the day when you would normally be sleeping. 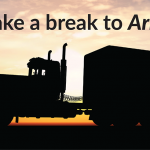 Young males, shift workers, commercial drivers and people with untreated sleep disorders or with short-term or chronic sleep deprivation are at an increased risk for drowsy driving crashes. Commercial Motor Vehicle (CMV) drivers will be issued a Uniform Commercial Citation if the driver is found to be an ill or fatigued operator at the time of a crash. 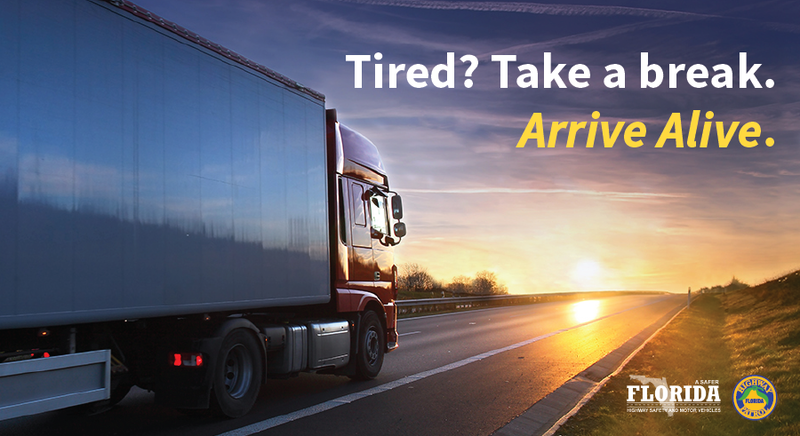 Commercial vehicle drivers must comply with all federal and state regulations regarding sleep to ensure maximum safety on the roads. 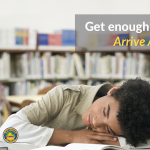 Get enough sleep before you drive. If you are having difficulty focusing, frequent blinking or heavy eyelids, pull over in a safe place to rest before continuing to drive. On long trips take a break every 100 miles or two hours. Allow plenty of time to get to your final destination. Use the “buddy system” so you can change drivers when needed. If you have been up for 24 hours or more, do not drive. It is not safe for you and all others on the road. 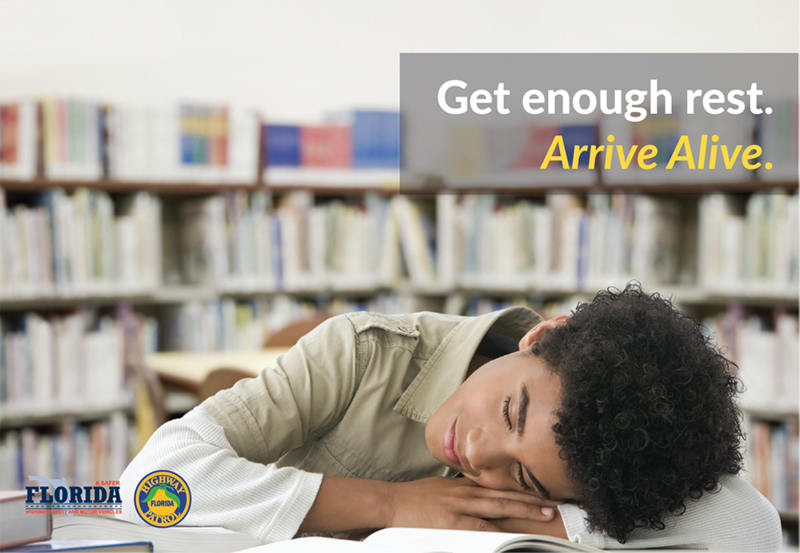 Get adequate rest before you travel. You can drink caffeine to increase alertness; two cups of coffee can increase alertness for several hours. Read the warning labels on your medications. 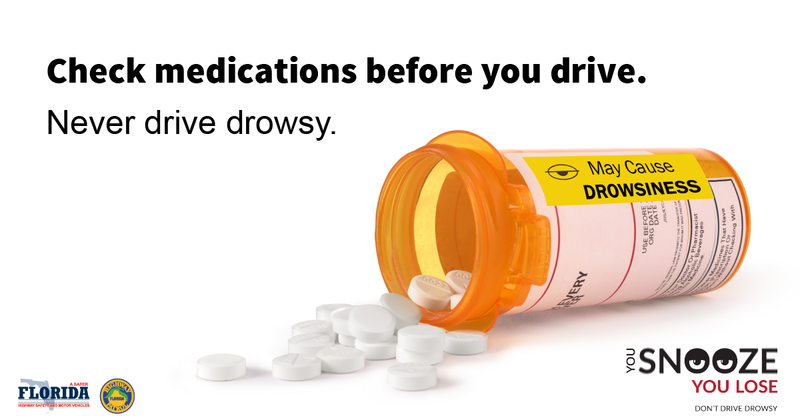 Do not drive after taking medications that cause drowsiness, and always drive sober. Download the Social Media Posts PDF and click on the thumbnails below to make posting on social media quick and easy! 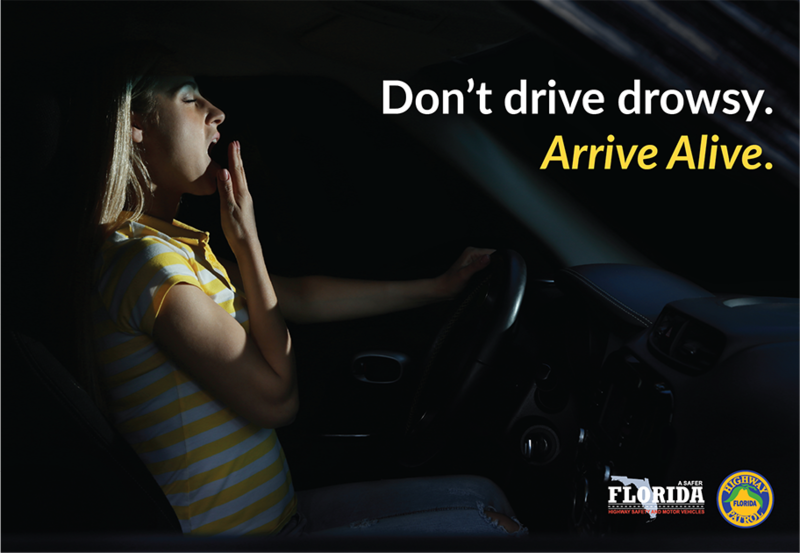 Make sure to use hashtag #DrowsyDrivingFL too. 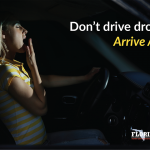 For more information, including warning signs that a driver needs to pull over and rest, visit http://drowsydriving.org.